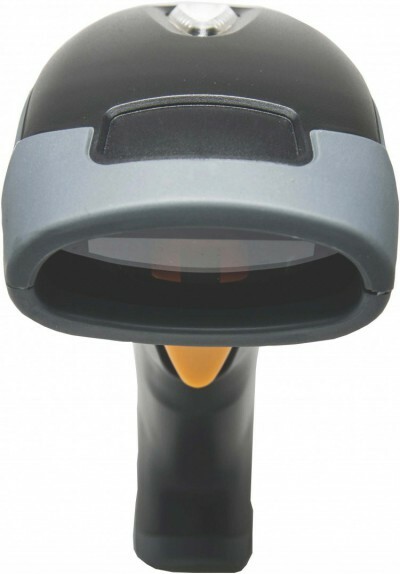 Keep up with the enhanced technology, BS-115 series laser scanner built-in 32-bit CPU with excellent scanning performance. 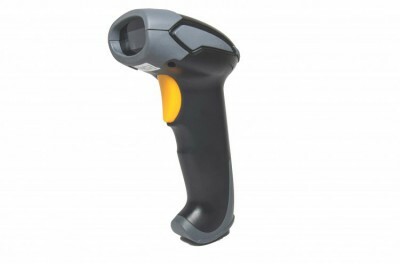 It's PnP( Plug and Play) device which allow you to have the interface cable change amount the K/B wedge, RS-232 and USB. 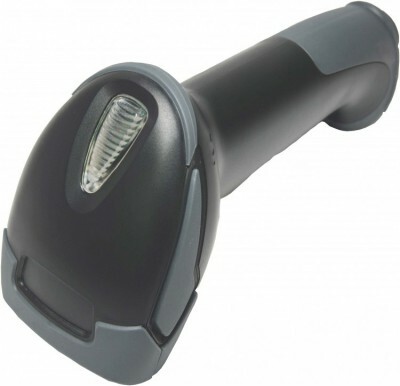 BS-115 has the Auto-sensor function built-in, and it helps you to get the barcode data collection even for the hand free operation. The hand-free high stand is optional. a. Discriminate most of the exiting barcode symboliges in the market. b. 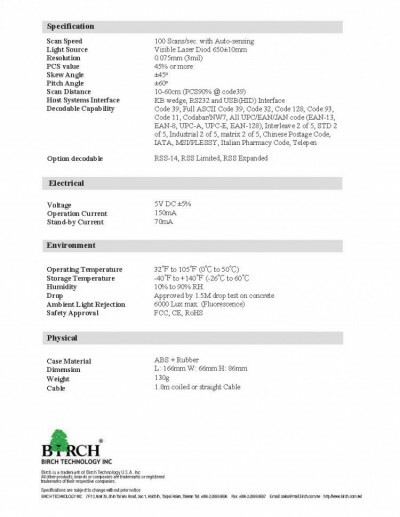 With log depth of field(DoF): 10-60 cm based on PCS90% @ code 39.
c. With a scan rate of 100mm/second. 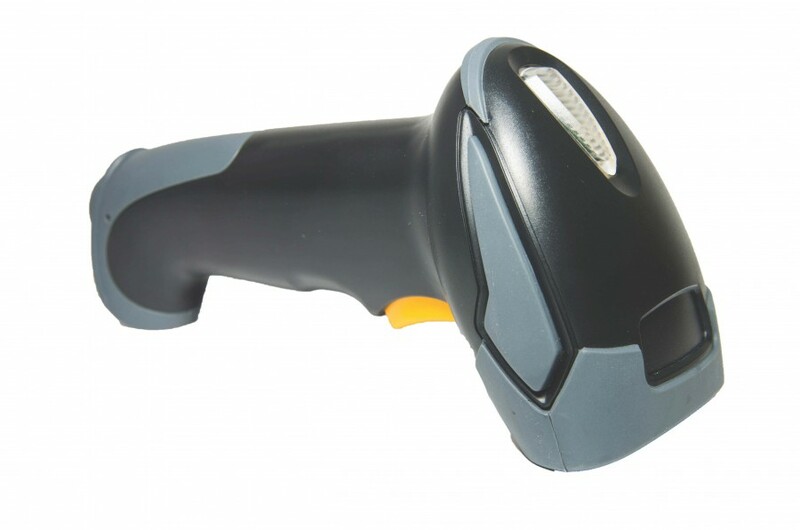 BS-115 is a gun type handheld laser scanner which built-in powerful decoding functions . 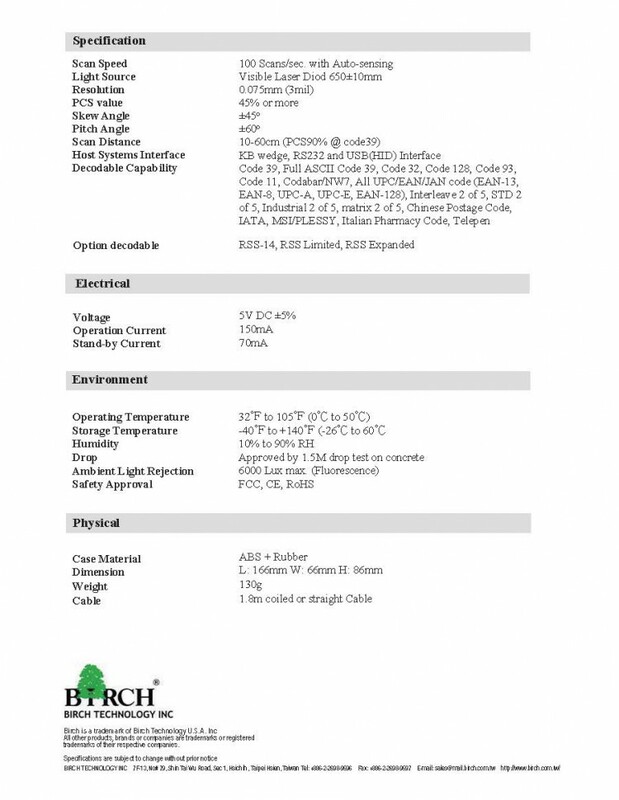 The user can have his-own setting based on our operation manual.